CASINO ROYALE! 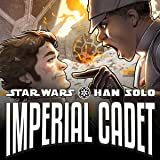 HAN SOLO gets demoted for insubordination – dragging his fellow cadets down with him. They go from flying TIE fighters to flying a giant cargo ship. Han’s expert flying cuts their cargo ship’s flight time in half, allowing them to stop at a casino for some hard-earned R&R. 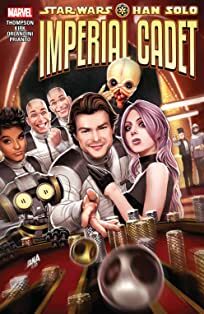 But Han’s fellow cadets quickly learn this little “vacation” was NOT authorized by the Empire and, thanks to Han, they’re all considered AWOL!